Taking appointments might seem like a minor task. After all, it’s simply a matter of picking up the phone or answering an email. The reality is that doing so takes a lot of your available time. It also takes away your business’s money. In addition, managing those appointments can take up even more time and cost you more money. Manually taking and managing appointments can also be a source of problems. Appointments can’t be made during non-business hours. If you happen to be away from the phone it could cause a potential client to lose patience and look elsewhere. Another problem — people sometimes forget an appointment. Put a flawless automated booking specialist like Amelia in place. Like that, you can avoid all these problems. Once you install Amelia, you’ll wish you had something like it years ago. Amelia is the brainchild of Code Canyon’s best-selling wpDataTables’ Elite Author. The latter is credited with more than 17,000 licenses sold. It was created with businesses in mind that depend on bookings and appointments. These are businesses like coaches, consulting firms, gyms and fitness clinics. Spas and beauty parlors are also in this list. For it to be put to use in businesses like these the system must be easy to install and require no special training. That’s precisely the case with Amelia, and once set up, it’s 100% automated. Clients can book appointments 24/7 from their computers and smartphones. They will be able to do so with just a few clicks. You will be in a position to view and manage your and your team’s appointments. You can set your own calendar from one impeccably organized place. The person managing appointments obviously has to be paid for doing the work. Unless that person is dedicated to the task full time, it takes time away from other work that needs to be done. This costs your business money – every month. It only makes sense to pay an easily affordable one-time fee. You can pay it in return for which you’ll get a professional booking specialist. It is the one that’s on the job 24/7, always does things right, and never complains! That’s Amelia. It’s not simply taking time away from other work to book or manage an appointment that’s a problem. It’s time lost when important tasks are interrupted to book, change, or cancel an appointment. Taking only 20 seconds to go to the phone or read and respond to an email is still an annoyance. It can also be a productivity killer. You can let the phone ring, and not check your emails until closing time. But you’re certain to lose potential clients by doing so. Your Amelia plugin will, on the other hand, keep on doing what it does best. It will keep clients happy and allow your business to run smoothly. Amelia’s interface is a strong point. It’s a pleasure to view and easy to work with, and it makes your business operations look more professional. Clients can book appointments in seconds from their computers and smartphones. They don’t have to wait for someone to answer the phone or be put on hold and be forced to listen to elevator music. They also won’t have to put up with back and forth emailing. With Amelia, there’s no more frantically looking through notebooks or organizers. No more scrolling through timesheets or Excel tables. Forget about doing a dumpster dive into your wastebasket because you can’t find that scrap of paper. Amelia meanwhile just keeps humming along doing what it does best. At the same time, it gives you total control over your appointments and schedules. 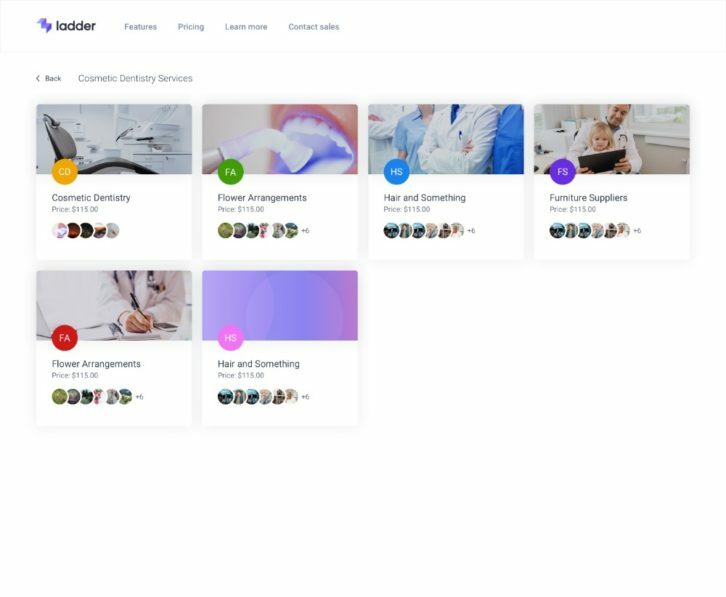 You can easily manage your clients and employees. Your whole business, in fact. You can at any time see who’s in charge of which client. Monitor when and for how long an appointment is scheduled. Or, see how much a service is costing so you can optimize both workflows and money flows. 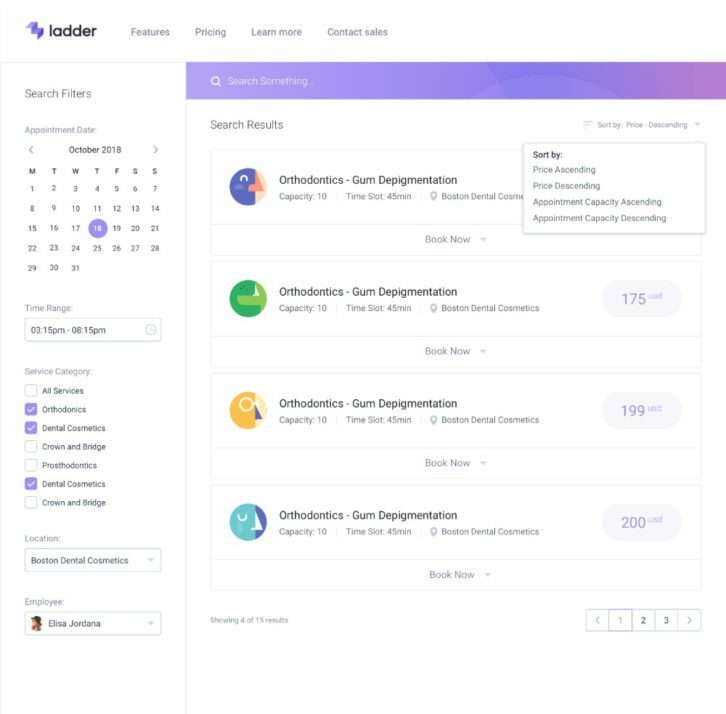 Search Booking Wizard. This interface’s filter criteria offer a convenient way to look for a suitable service. You can also find the necessary employee and time. Step-by-Step Booking Wizard. 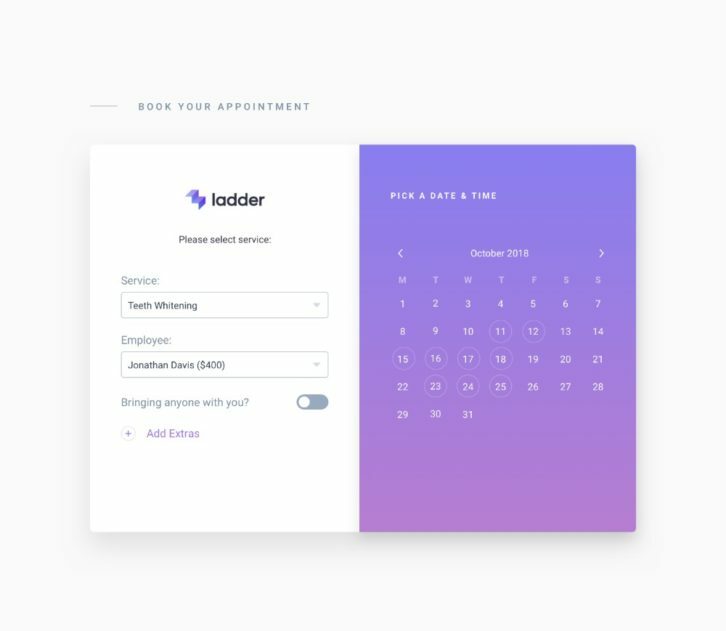 This wizard gives you an alternative way to schedule appointments. You can do so by choosing a single parameter (Service, Employee, Date) at each step. Insightful Dashboard and Reporting Feature. Amelia’s dashboard provides an overview of your business’s performance. It provides charts to help you track key financial and conversion-related KPIs. Calendar and List View. Amelia gives you multiple options for managing your workflow. 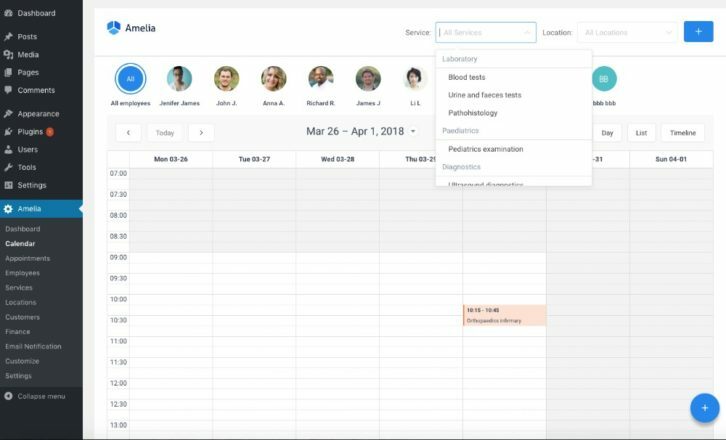 You can track by month, by week, by day, by calendar view, by timeline or by an interactive list of appointments. Catalog View. Generating a complete online catalog of offers and your booking form is as easy as it can get. It uses a shortcode and the information about your service with accompanying photos. Employees Management. This feature stores employees contact data in the WordPress database. It also manages individual loads and performances. Lastly, it configures personal work schedules and days off. Locations Management. Amelia allows you to efficiently manage contact data, addresses, and geolocation. This is especially useful if you have several business locations. Group Appointment Bookings. Amelia supports group as well as individual appointment bookings. Each service can have a minimum or maximum capacity. Minimum Time Before Booking and Before Cancelling. This feature allows you to configure the periods for making bookings and cancellations. Automated Notifications. This time-saving feature sends email notifications to customers (and to employees as well). It comes in handy when an appointment is booked, pending, canceled, or rejected. You can also use it for appointment follow-ups, birthday greetings, and many other cases. Schedule Settings. Enter your standard business hours, non-work days, and holidays. New employees receive this information by default. You can always make individual adjustments later. Online Payments. Amelia can integrate payments into your business via the popular payment systems. These include PayPal or Stripe. Customizable Design. It’s easy to customize Amelia’s front-end elements. You can do so to make your booking controls match your corporate brand’s style and your WordPress theme. Are you feeling serious about giving your client-oriented business a more professional look? Are you planning to have flawless processes in place? Then, installing Amelia to automate your appointment booking system is an excellent choice. Since Amelia doesn’t take any training to use, it will be easy to give it a try to see how it works for you and for your team. You can also see how easy it will be to customize this automated booking system. It can fit your business and manage your appointments 24/7. You’ll never miss an appointment or a potential appointment again. You can throw out the garbage without fear of losing a necessary paper with the appointment info on it. Amelia will get everything is in one place and perfectly organized. You can enjoy focusing on important tasks without interruptions. These next level software are a must have for any business and no doubt, they helps to save money so that the firm could devote their time to useful stuff. Thanks for sharing about this software here.